Shooting for sport and hunting is a serious skill to acquire. It takes practice. For many new shooters, it may take years to perfect their craft. If you’re a novice and don’t have family members to show you the ropes, you may want to consider checking out a local shooting range. 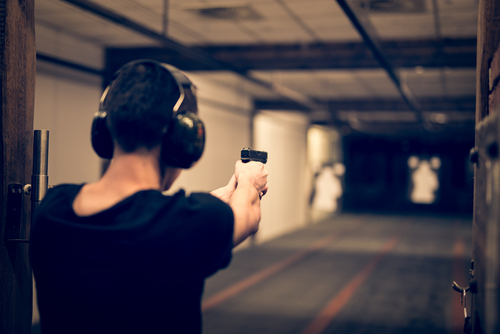 At shooting ranges you can practice all the essentials to becoming a great gunman in a safe and controlled environment. If you’ve never been to a range before, here are some basic guidelines on shooting range etiquette. The backstop is the device at the end of the shooting range. It is designed to stop and redirect the bullets you fire. It is a vital element to provide safety for everyone at the shooting range. To show that you are serious about shooting safety, always face the backstop when you are holding your gun. If you need to turn around to talk to a friend or an instructor, simply place the gun on the table, pointed at the range. Unloading and opening the action is also a smart move if you will be taking a long break from your session to get tips from your instructor. It is very important that you stand right on the shooting line. This is the guideline on the floor that tells you exactly where you should be standing. If you stand any further back from it, it will disrupt other shooters on your sides. Standing too far away also looks like you are being unsafe and, well…untrustworthy. Follow the shooting line and you’ll be practicing some strong safety and etiquette procedures. While a great shooting bag looks pretty cool, it is also a considerate safety measure. Walking into a shooting range holding your firearm freely can definitely present the wrong first impression. When you case your gun, make sure the ammo is unloaded with the action open. Do not open your shooting bag until you get to the shooting bench. When you arrive, remove your gun and follow all range procedures. It is perfectly okay to ask questions about anything you are unsure of. That’s what shooting ranges are for. Don’t be nervous to let people know you are there to learn. If you are uncertain about any procedures or etiquette at the range, ask one of the professionals. When a staff member is unavailable it is also completely acceptable to ask one of your fellow shooters, just make sure you do so when they are not in mid-fire! Asking questions shows staff and shooters alike that you care about everyone’s safety, and that you want to be as considerate as possible. You’re at the shooting range to have a good time and learn a new skill. 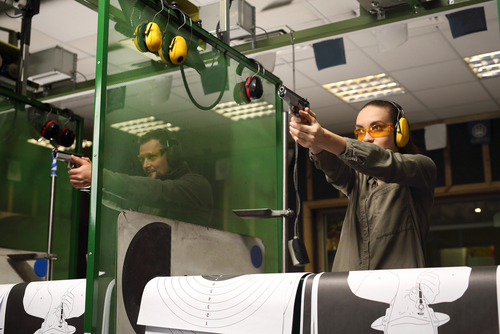 If you remain calm about safety procedures, you can have a lot of fun at a shooting range. Everyone is there for the same reason, and no one wants to get hurt. If you relax, and just do what you are supposed to do, a great time will be had by everyone at the range. East Coast Firearms is the leading provider of new and collectible firearms in Dutchess County New York. We are here to answer any questions you have about shooting range etiquette, so give us a call anytime! Here’s to safe shooting!